Celebrate the Bulldogs' trip to the 2018 Frozen Four in St. Paul! 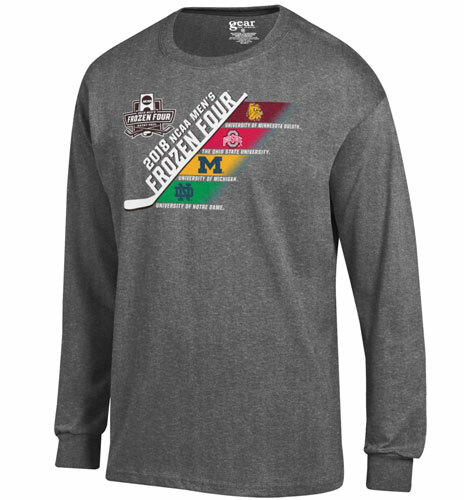 This Big Cotton (80% cotton, 20% polyester) unisex crewneck sweatshirt features UMD and Frozen Four tournament graphics. Fabric tag at neckline. 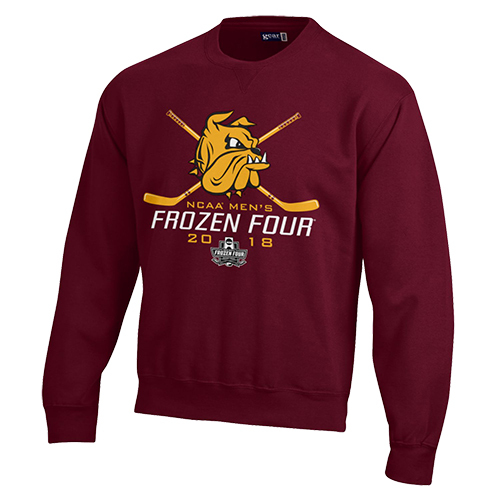 Please select option for Bulldogs Frozen Four 2018 Sweatshirt by Gear. Celebrate the Bulldogs' trip to the 2018 Frozen Four in St. Paul! This youth t-shirt features screen printed UMD and Frozen Four graphics. 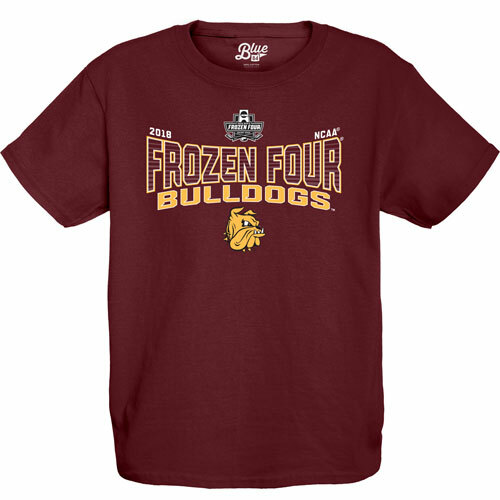 Please select option for Youth Bulldogs Frozen Four 2018 Tee by Blue 84. Celebrate the Bulldogs' trip to the 2018 Frozen Four in St. Paul! This 50% cotton, 50% polyester long sleeve t-shirt features screen printed graphics with UMD, Ohio State, Michigan, and Notre Dame. Printed label at neckline. Sorry, this item is clearance priced. No additional discounts or coupons may be applied. Please select option for Frozen Four 2018 Long Sleeve Tee by Gear. 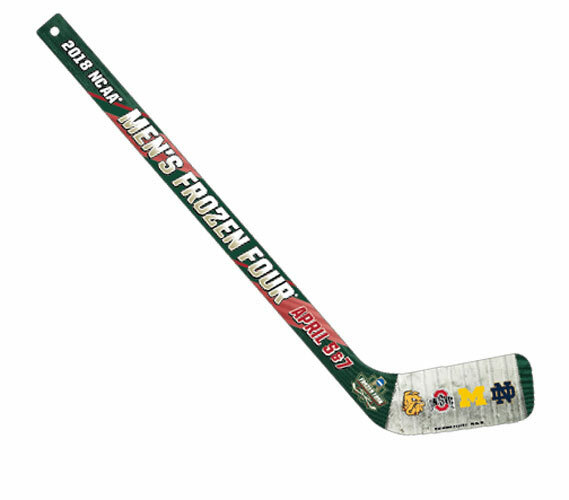 Celebrate the Bulldogs' trip to the 2018 Frozen Four in St. Paul with this commemorative miniature hockey stick! Features color graphics with UMD, Ohio State, Michigan, and Notre Dame.